Having Khalile at the wedding felt like having an extra friend, taking fantastic photographs. He was totally relaxed, fun to have around as well as so helpful, and can do, offering lifts and keeping the kids happy! Khalile made everyone at ease and the whole experience enjoyable. 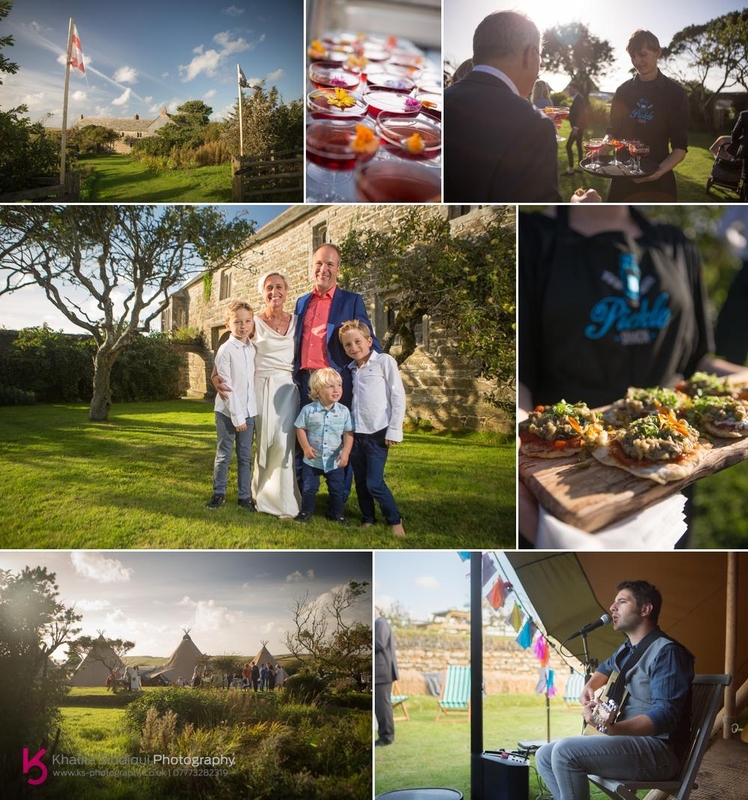 We loved his blog of our day, a personal picture story which arrived in our inbox just 48 hours later, which was a lovely touch to relive the day for us and our guests whilst the memories were so fresh. Thank you! 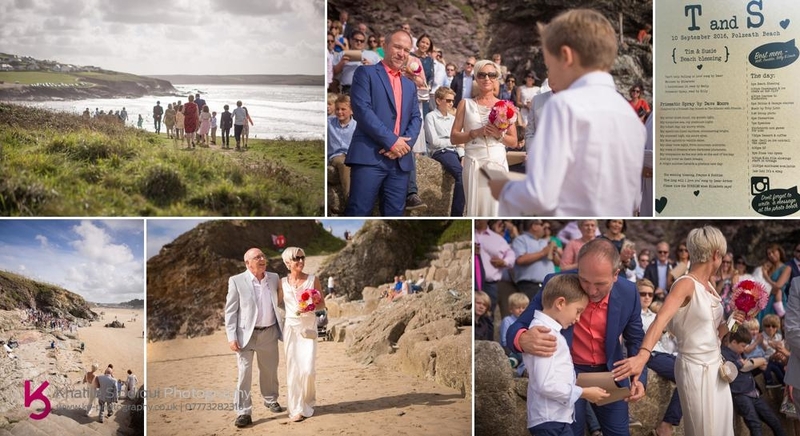 This was a super fast booking for me as Susie & Tim only booked me for their Polzeath blessing a week ago after receiving a recommendation and I'm really pleased they did, as not only have I not shot a blessing on a beach before, I've never shot a reception at Roscarrock either. My day started with meeting Tim and his three sons at St.Moritz Hotel who were Tim's mini best men and kept Tims brother Will the big best man on his toes. 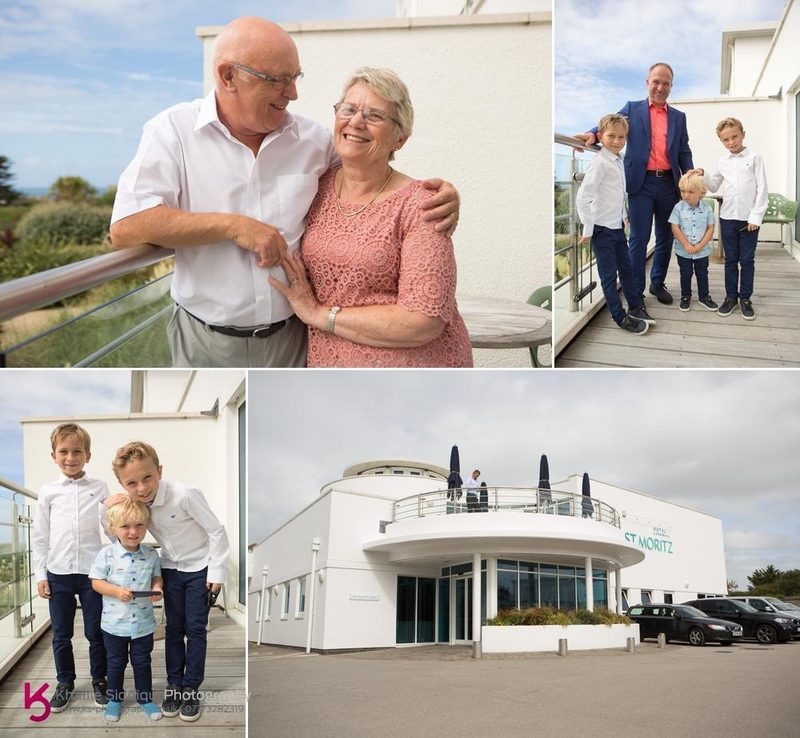 While I was there I was also lucky enough to meet Susie's parents too, John & Pauline who were celebrating their 50th wedding anniversary on the day, WHAT AN INSPIRATION! 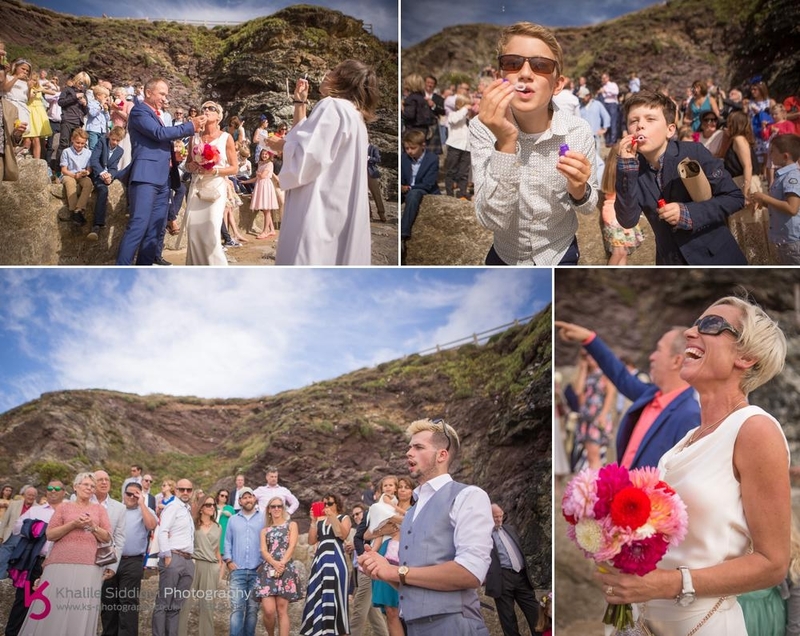 Tim, his best men and guests congregated on the New Polzeath clifftop before walking down together to the giant stone steps where Elizabeth the vicar was waiting for us. I waited on the steps for Susie's arrival with her father, two bridesmaids and youngest son. 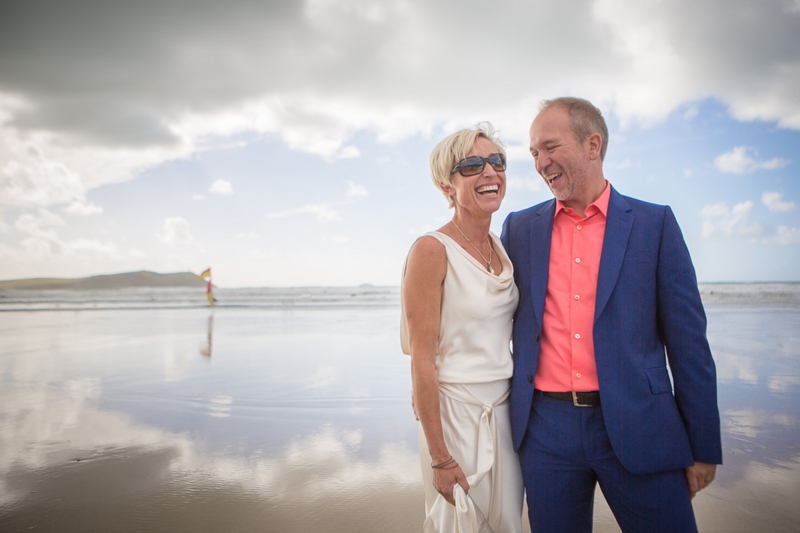 It was such a lovely moment when Susie appeared at the top of the steps and all the guests spontaneously waived at her and her party :0) Another touching moment was when their middle son Billy read a poem during the ceremony which was written by Susie's deceased brother who's ashes had been scattered at sea just off Polzeath beach. I guest there was only ever going to be one place where this blessing took place. After the vows had been taken Elizabeth the vicar lead yet another lovely moment with all the guests blowing bubble to celebrate Susie and Tim's joining. It was so lovely to see so many peoples joyous beaming faces being so playful and made all the better by their friend Isaac Archer who sang beautiful versions of Elvis Presley and Ellie Goulding songs. 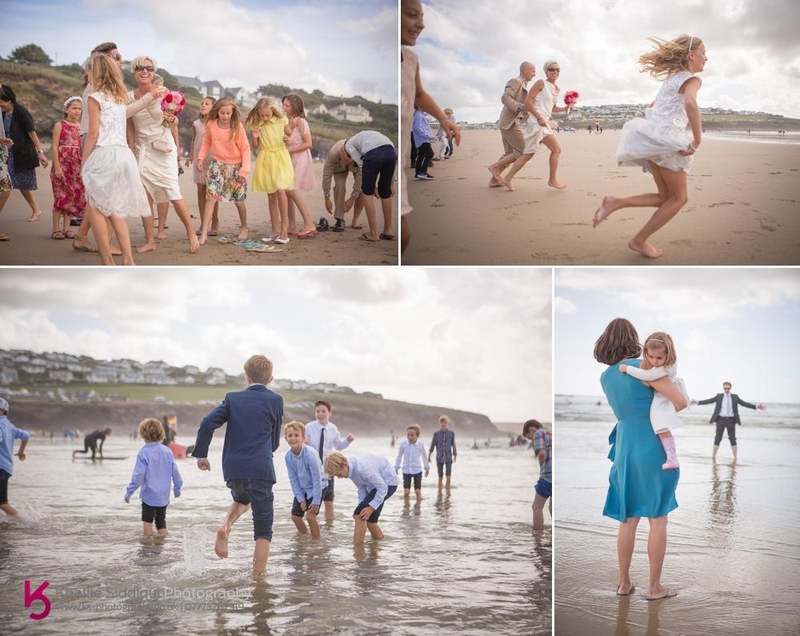 All this fun and revelry sparked another spontaneous moment with Susie bolting down the beach with guests in tow and all running into the sea! 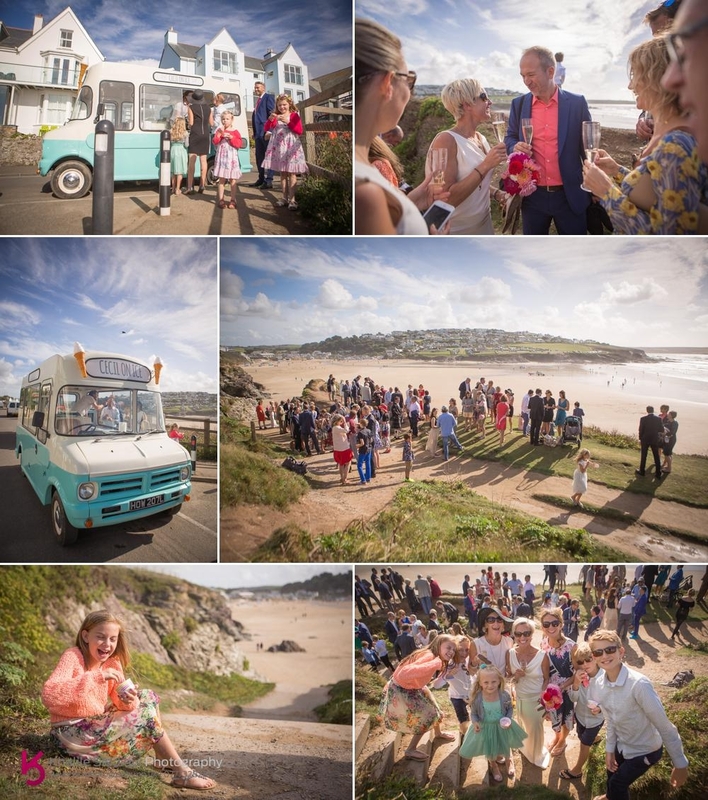 As a surprise for their guests Susie and Tim had Cecil-on-Ice waiting on the clifftop with his vintage ice-cream van full of loads of Cornish Ice-cream and Champagne. After spending a couple of glorious hours on Polzeath beach everyone was ferried a couple of miles up the coast to Roscarrock, a beautiful venue in a stunning location just outside of Port Isaac, where Cecil-on-Ice had made his way to supply the guests with cocktails for arrival, Pickle Shack were supplying the canapés and musical entertainment was supplied by Toby Lobb of Loveridge, all pulled together beautifully by Josh Tully Management and Claire Spreadbury. 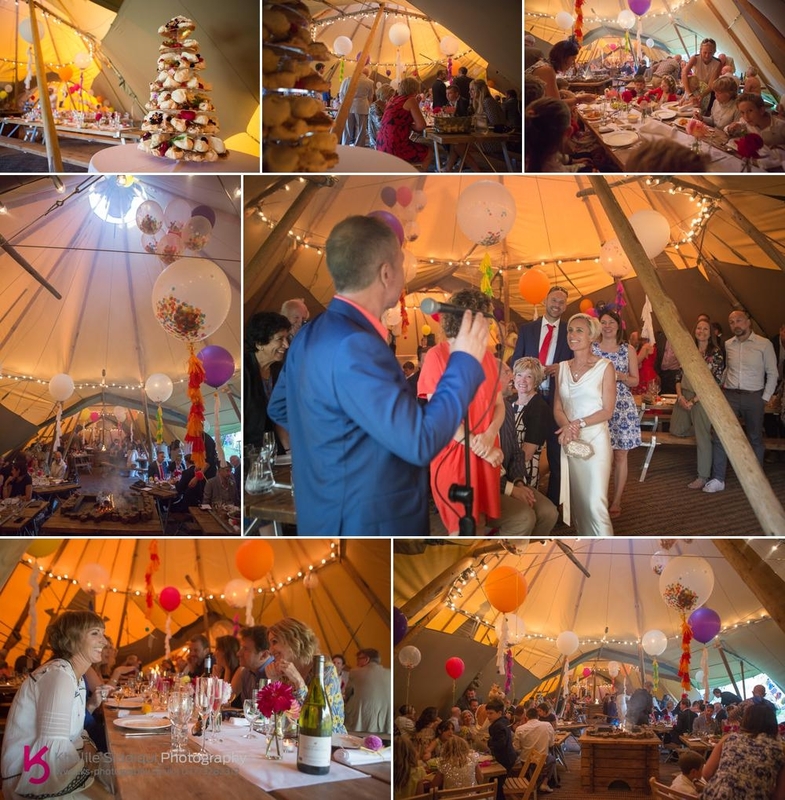 Ive only ever shot one wedding with a Tipi before so when I arrived an saw Susie and Tim's four Tipi'd marquee supplied by Abbas Marquees I had the biggest grin ever!!! Dearest Susie and Tim, thank you for inviting me to be part of your very special day, I loved every minute of it! 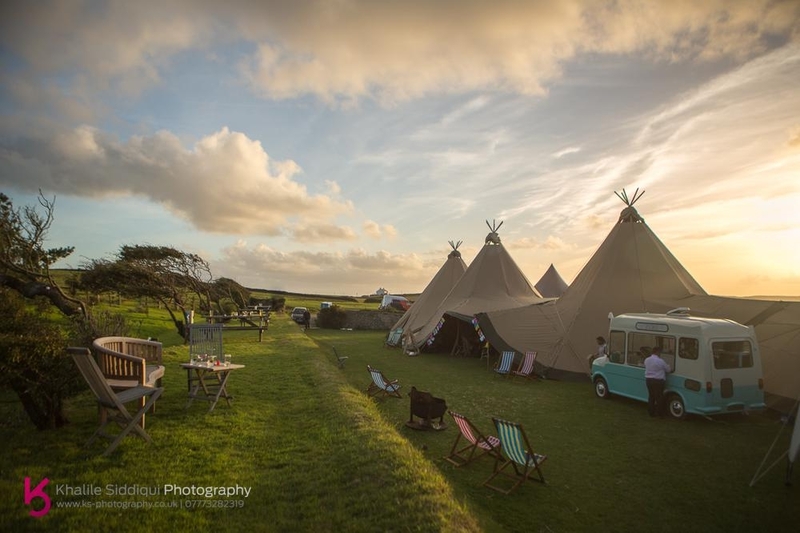 Polzeath Beach blessing of Susie & Tim, with their reception at Roscarrock with a four tiered Tipi from Abbas Marquees.